To be able to capture Buachaille Etive Mor reflections is always high on the list of any photographer visiting Glencoe. It's one of the best known and loved of all the Munros. This epic view of the mountain and the River Coupall makes it appear quite unassailable. 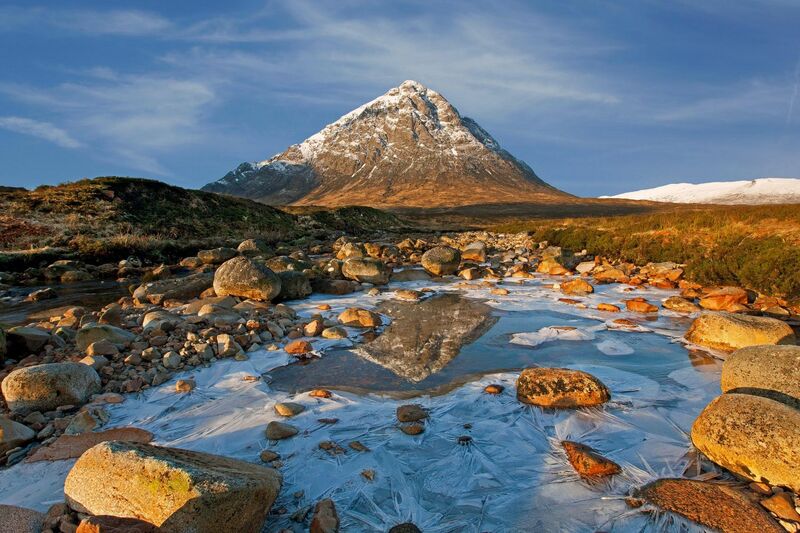 Its North peak, Stob Dearg is a magnet for climbers, hillwalkers and photographers.